GERMANTOWN – The pictures are hard to look at. “I ended up with a total of 63 bites over my face, neck, arms and primarily torso,” said Kelly Mathieu. Mathieu said the bites are from bed bugs. It’s a traumatic experience she said has scarred her for life. “I hope they understand, although I’m just another guest to them, this was difficult to go through,” she said. Over Christmas, Mathieu and her fiancee stayed two nights at the Radisson Blu Hotel near the Mall of America. When they got back home in Germantown, she knew something was wrong. A visit to the doctor showed she was treated for insect bites. Mathieu then contacted the hotel who she said told her, they’d reimburse her and take care of the bug problem. “Please forward me any pictures you’ve taken of the marks that you feel will be relevant for my report,” she read from an email. “Someone who’s bringing a claim has a burden of proving the landlord, or owner of a property, either knew or should’ve known there was a problem there,” said attorney Jonathan Safran. Safran said that’s what makes cases like this, slip and falls or food poisoning hard. He said the minimal damages aren’t worth hiring a lawyer, but you still have the right to file a claim and should report it to the health department. “You may find out others have filed a complaint,” he said. Meanwhile, Mathieu is holding out hope she’ll be compensated for her trouble. “For the items, probably about $500, for the emotional, that’s priceless,” she said. The hotel is working on a resolution with Mathieu. But, she said the hotel is still going to refund her room fee, and pay for medical bills and luggage she threw away when she got home. So how do you keep something like this from impacting your next hotel stay? We spoke with a pest control expert about the first thing you should do when you enter your room. Allen said you should look in the crevices of the bed for any potential bugs. Most will be no larger than an apple seed. He said people react differently to bites, so it may be several days before you realize you have been bitten. Allen also said the most effective way to kill the bugs is heat. To reduce the chances of bringing the unwanted guests home with you, throw your clothes into the dryer on high heat the first thing you get back. It’s no surprise to anyone in the hospitality industry that bedbugs are a huge concern. Since travelers today often choose their accommodations online, they are heavily influenced by fellow travelers’ reviews. 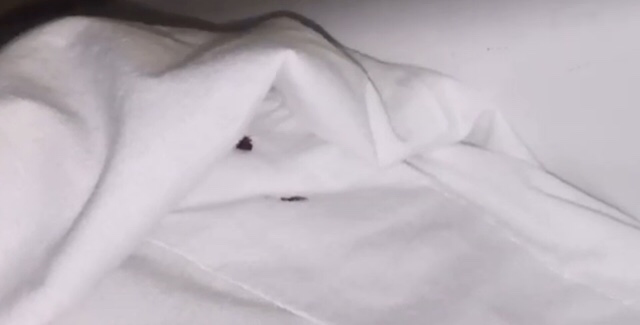 Online reviews can harm a hotel’s business and reputation if even the slightest hint of a bedbug infestation exists. Signs of bedbugs are more likely than other common hotel issues (odors, unclean bathrooms, dirty sheets) to prompt guests to leave a property. A recent survey found that even a single mention of bedbugs on travel and social media sites drops the value of a hotel room by an average of almost $30/night. 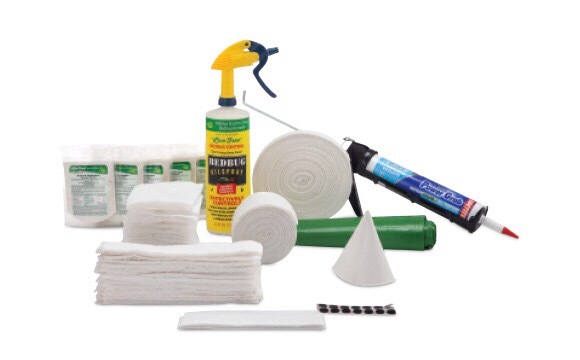 While bedbugs are challenging to eliminate, they’re easy to avoid – if you know how and use the right products. You may think cleanliness affects whether bedbugs will infiltrate your property. In fact, cleanliness is not the issue. Bedbugs hide in miniscule crevices and because they usually come out after dark, are harder to detect. To solve the problem once and for all, American Hotel recommends Live Free powered by KiltronX™ bedbug barrier system. This proven system actively kills bedbugs, protects the entire room (not just the mattress), prevents future infestations, and its organic solution is safe for guests. There’s no doubt bedbugs are a pain in more ways than one. Treating a minor infestation is inconvenient, but far less costly than treating the same problem after it spreads. The Live Free system, powered by KiltronX, is designed to protect an entire property, not just a room or two. The active compound that kills bedbugs was developed based on organic farming pest control technology. This green compound is in the system’s mattress covers, cushion liners, box spring wraps and all other kit components. As the single-source solution for your property, American Hotel invites you to save up to 20% on KiltronX products through January 31. We bid you good night, and, whatever you do, don’t let the bedbugs bite! Will you be heading to Grandma’s house this holiday season? Or taking a long-awaited vacation in a tropical location? 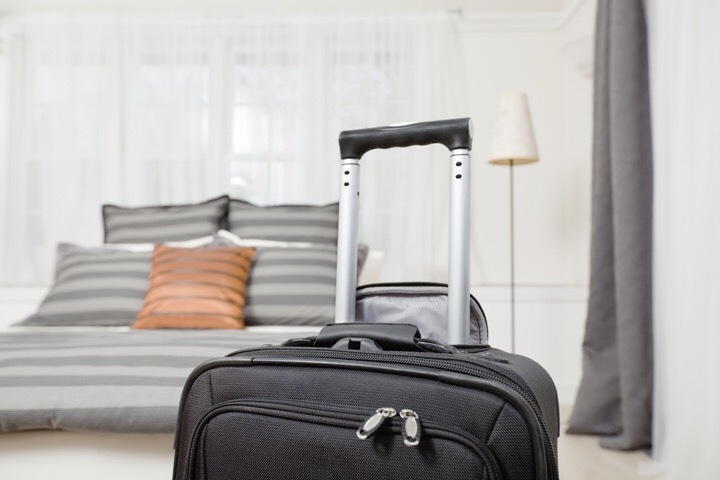 Whether you’re driving over the river and through the woods or flying to a luxury hotel in a premier resort to ski for the week, it pays to take steps to ensure you don’t come home with some unwelcome travel companions — BEDBUGS! Check out these five BEDBUG hotspots to be aware of as you travel this holiday season and follow the tips for how you can avoid carrying them home with you…BEDBUGS do not discriminate – it doesn’t matter if your room is $500 per night! 1. Give them a mattress, any mattress! The presence of bed bugs has nothing to do with cleanliness or the quality of your accommodations. They’re as happy and as common in five-star hotels as they are in the guest room at Grandma’s house. 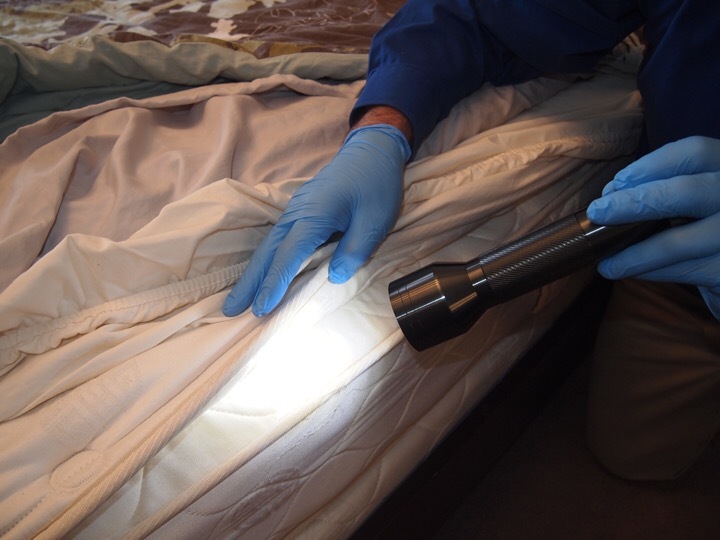 As their name implies, bed bugs often frequent mattresses, so as soon as you arrive at your destination, pull back the bedsheets and inspect the mattress seams and box springs for signs of bed bugs. If you see telltale stains, spots or shed bed bug skins, alert hotel management or your host right away. 2. But anywhere is good, really. Bed bugs don’t just stick to the bed, they can infest an entire room. Before you unpack, sit your luggage in the bath tub or on a hard tile floor, and thoroughly inspect your room. Use a flashlight to look behind the headboard, under side tables and in sofas and chairs. 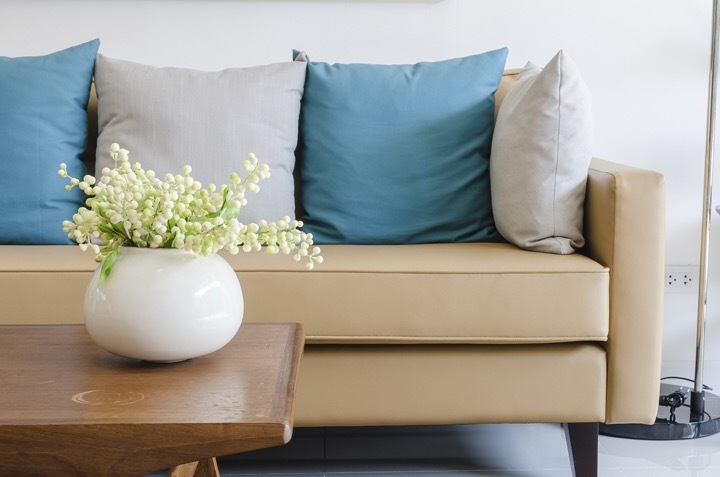 Remove cushions from upholstered furniture and look for signs of pests. 3. Hey, nice bags! Bed bugs travel by hitching a ride, and your luggage makes the perfect luxury transport for them to accompany you on your journey home. Once you’ve unpacked, consider placing your suitcases in a plastic trash bag or protective cover for the duration of your stay. 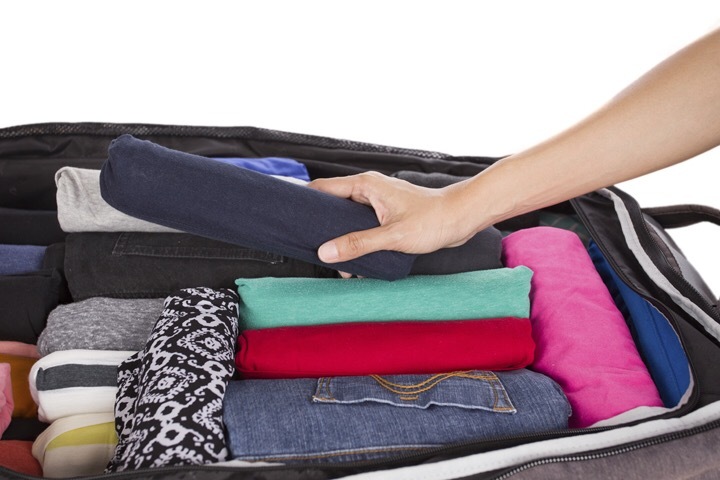 Place suitcases on the shelf in your hotel room closet. Inspect your luggage before you leave to go home. 4. They just want to be “clothes” to you. Your vacation wardrobe is also a great spot for bed bugs to hang out — and their eggs to stick around —and wait for their ride to their new home. During your stay, either place worn clothing in a sealed plastic bag or use the hotel’s laundry facilities to give clothes a hot blast through the dryer before packing them up to take home. Once you’re home, immediately run all clothes — even ones you didn’t wear — through a hot dryer for 30 minutes to take care of any bed bugs that did make it home. 5. They still like those bags. Although you took steps to protect your luggage while on your trip, it pays to give them one more good look when you get home. Unpack luggage outside the house and thoroughly inspect it before bringing it inside. Vacuum the inside of luggage before bringing it inside to be put away. 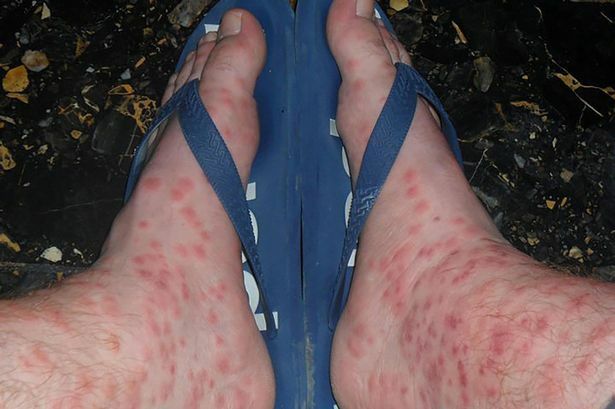 This is the shocking condition a woman has been left in after she was ravaged by bed bugs while on a romantic getaway FOUR YEARS ago. Jessica Mann still suffers from skin conditions despite the original incident happening in May 2011 on a break with her ex-partner. The 24-year-old, from Manchester, received a five-figure payout after being bitten so badly on the trip to the Dominican Republic that she was left with peeling, dry and broken skin. At the time she stayed with then boyfriend Aaron Rigby at the Sirensis Cocotal Hotel, in Punta Cana, but after just a few days the young couple started to break out in painful rashes and blisters. Jessica suffers from skin condition Pompholyx, which leaves the skin on her hands and feet sensitive, peeling and dry. But since the ordeal her symptoms have significantly worsened and Jessica – who is an aircraft co-ordinator at Manchester Airport – is still suffering pain and discomfort. Now specialist illness lawyers at Irwin Mitchell have secured payouts for the pair from tour operator Thomas Cook – despite the firm denying liability. Jessica said: “I had never been on a long-haul holiday before and the trip was meant to be a special break for both of us – instead, it was a very frightening experience and I just wanted to go home. “When you go on holiday you just never expect in a million years to suffer these issues. “And now I have no choice but to live with my condition which seems to have been made worse by the holiday. It is immensely frustrating. Both Jessica and now-ex Aaron required medical treatment for the rashes and sought advice from the sit doctor at the resort, with Aaron being given medication. But after returning home Jessica needed a whole month off work to recover from the severe blistering. They were both then treated at Stepping Hill Hospital in Stockport for the large, irritable red blisters, which burst, and prescribed painkillers, steroids and creams. Clare Pearson, from Irwin Mitchell, represents the holidaymakers. She said: “This is a terrible situation in which our clients have developed extremely uncomfortable and embarrassing conditions during what was meant to be a relaxing holiday. “Sadly such cases are not uncommon and while nothing can be done to reverse the problems Jessica and Aaron have faced. “We hope that the settlements will go some way towards helping them to take steps to put these issues behind them. Jessica added: “Nothing can change what has happened but after securing this settlement we just want to put this ordeal behind us and move on. “It was not just the rash that spoiled the holiday, there were lots of other things wrong with the hotel. “There were lots of insects in our hotel room and the fridge and lights in our first hotel room were not working properly. 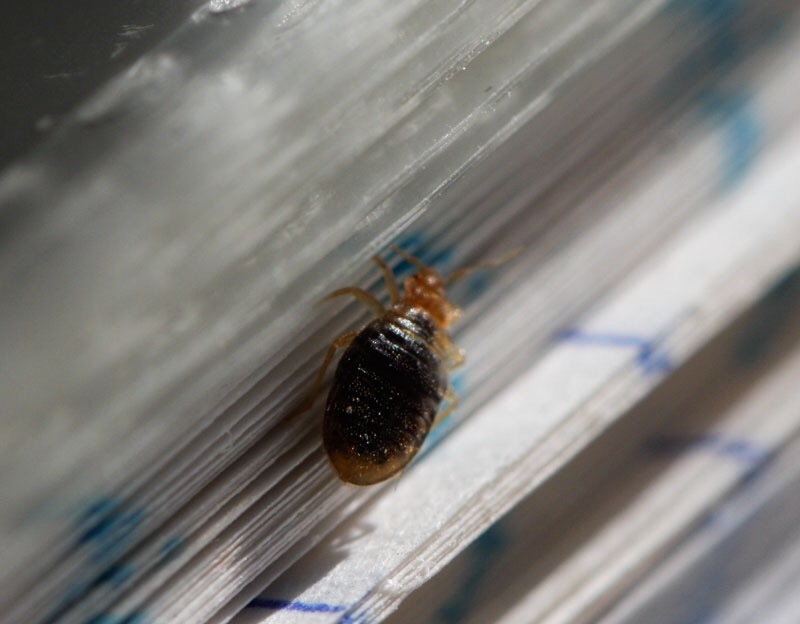 Library books in Delaware seem to be the newest place for bedbugs to make their home.Library books in Delaware seem to be the newest place for bedbugs to make their home. The Wilmington News Journal reports that librarians at downtown Wilmington’s main branch started noticing bedbugs in books several months ago; the bugs went away after Erlich Pest Control did a chemical treatment of the circulation counter. But now, the bugs are back. Larry Manuel is the director of the City’s library system; he says it has just been a few bugs here and there, not hundreds. Manuel says when a bedbug is found in a book, the book is disposed of. Bedbugs have also shown up in low numbers in libraries in Elsmere and Bear. And in Selbyville, a chair was thrown out last month after bedbugs were found to be inside. Delaware Division of Libraries Director Annie Norman says next month, it will conduct training on how to deal with bedbugs with staff in libraries across the State. A motel on Union Avenue dealing with major problems since 2013 will now have to pay up more than half a million dollars after settling a lawsuit. The District Attorney’s office sued the owners of the Tropicana Motel, Bobby and Shobhana Patel, because of a number of issues with their building that eventually forced their residents to be evicted. John Mitchell works in the victim’s services unit of the DA’s office and said the problem was so bad that bugs were spilling out into the parking lot. 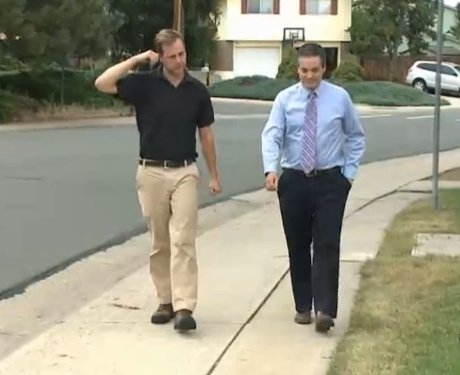 He calls it the worst housing situation he’s ever seen. “An inspection revealed vermin infestations including mice, roaches and bed bugs; plumbing hazards; exposed electrical wiring; inadequate and broken weather stripping; lack of adequate heating appliances; non-working smoke detectors; exposed electrical wiring; and general dilapidation,” wrote Mitchell in a press release. Usually if something like this happens to a business, Kern County Public Health gets involved. They close the place down, the business cleans up, and then it reopens. However, Mitchell said this case was too drastic to be handled administratively. One challenge involved trying to help the people who lived there. Many of them didn’t want to leave because the only other alternative was homelessness. Kern County Supervisor Leticia Perez used $10,000 to help the 150 tenants who were evicted. She was horrified to see what was going on. “It was really the most disgusting and heartbreaking thing that I had seen in — maybe ever in Kern County,” said Perez. Now the owners are trying to turn over a new leaf. They’ve changed the name from the Tropicana Motel to the Residence Hotel. As part of the settlement, they owe $547,500. The majority will go to the tenants who were evicted, $300,000. The defendants will also pay $175,000 in penalties and $22,500 in costs, which will include reimbursement of $10,000 in costs that were funded by Perez. The owners declined to give any kind of formal statement, but did say that their business is now clean. “It does look cleaner,” said Perez. The people who live there today say they’re glad the place looks so much better than it used to. Perez says she is sure there are more places out there with similar problems that need to be taken care of, and she hopes this case sets a precedent. The DA’s office hopes other business owners will pay attention and clean up their act on their own.